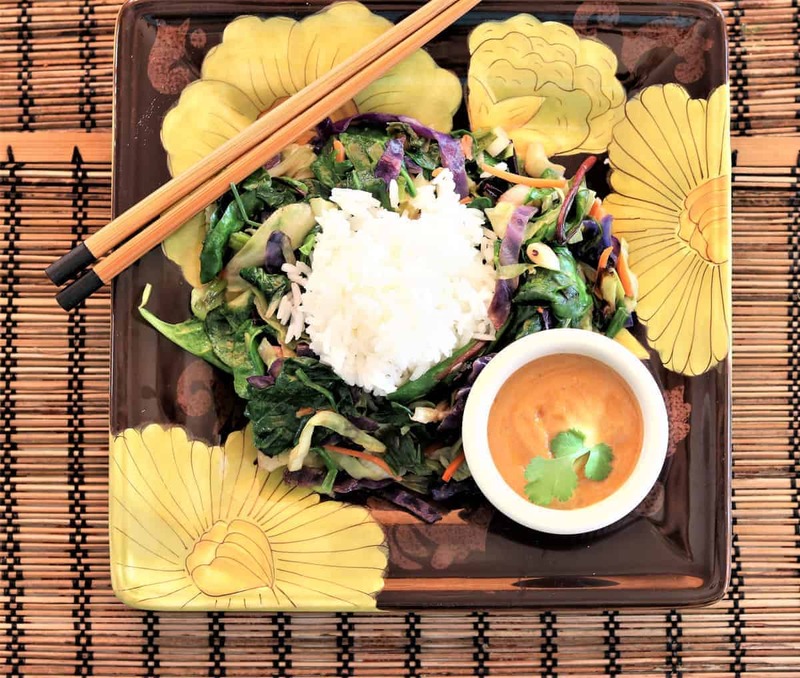 Dinner in on in less than 30 minutes with this Power Greens Stirfry With Hot Peanut Dressing. Full of vitamins, minerals, antioxidants and fiber, this scrumptious dish is also vegan, gluten free and dairy free. 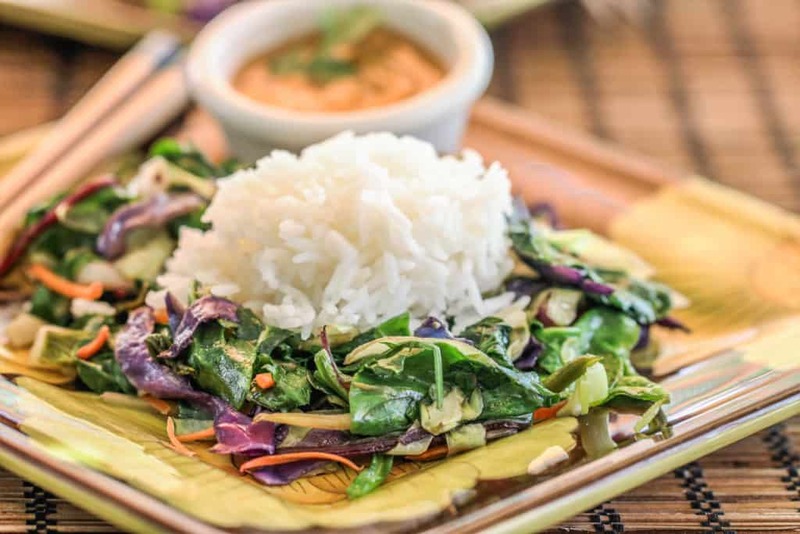 Nutrition packed power greens stirfry topped with yummy peanut sauce. Vegan, gluten free, dairy free. Saute all vegetables in coconut oil. 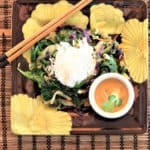 To Serve: Top vegetables with rice and drizzle hot peanut sauce. Garnish with cilantro.